Dr. Newton has been a Chiropractic Physician since 1988 and a Registered Nurse since 1980. 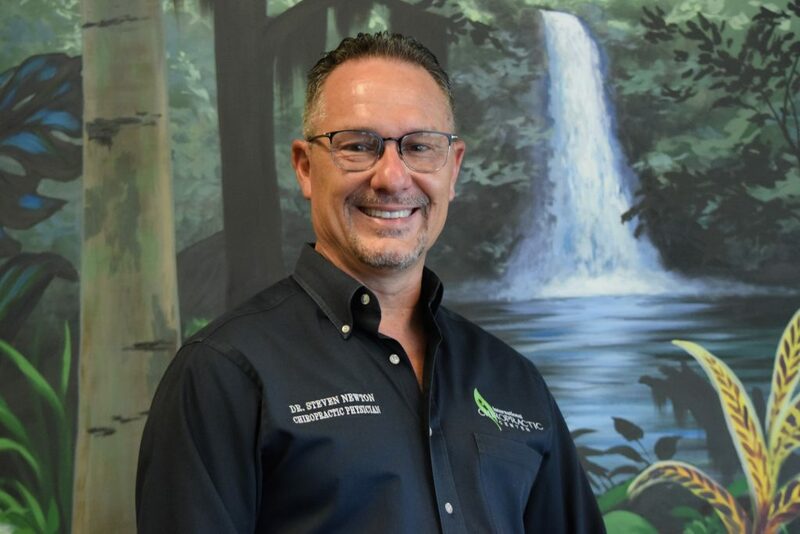 At the age of 16, as a passenger in a terrible car accident, Dr. Newton suffered near-fatal injuries that left him in a coma for several weeks. Upon awakening from the coma, he was told that he would never walk again. Surprisingly, in time, he began to walk, but with a painful limp. He continued to receive medical and physical therapy while suffering from horrible constant pain for four years. Finally, at the age of 20 a friend suggested Chiropractic care and the results were nothing short of miraculous. He was soon out of pain and no longer walked with a limp.